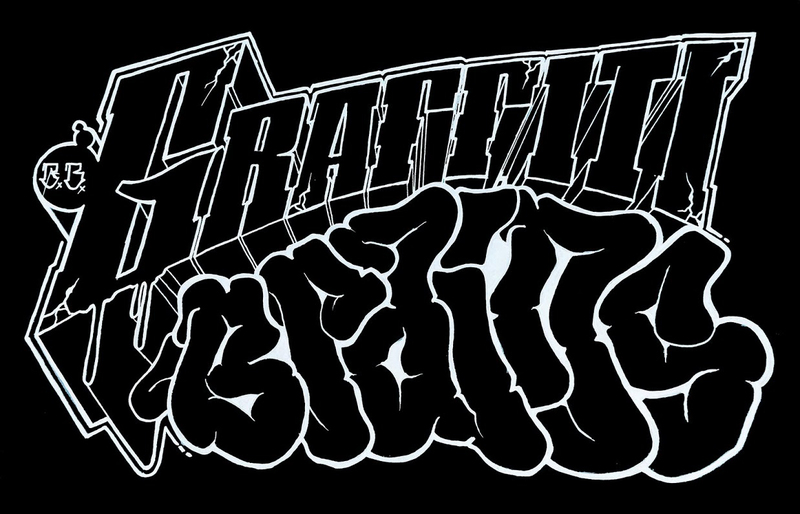 GRAFFITI BRAINS: Catch a glimpse.. 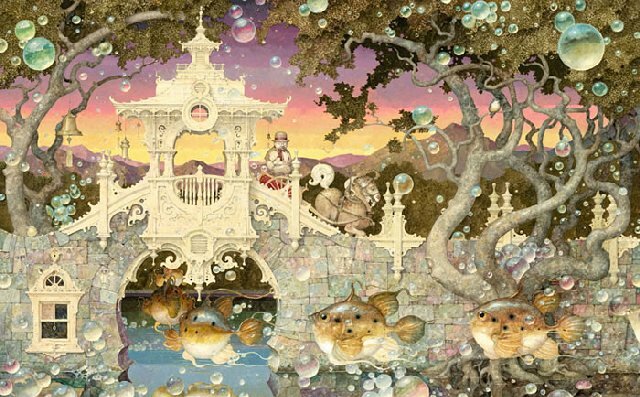 The first time I ever bared witness to the musings of Daniel Merriam, I was so mesmerized I could barely take my eyes away from these magical, fictional worlds he created with a pencil, a paint brush, & an acrylic/watercolor wash. 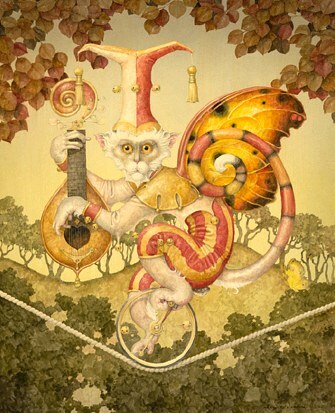 I continued to mill around the luxurious gallery located somewhere in the cliffs of Sedona, AZ, but circled right back to Daniel’s fantastical creations. The faces found in his landscape esq paintings, are surreal but blended as if they belong in the buildings, fruit, balloons, sky ect. You name it; he put an extravagant face on it! All the different creatures, people, & structures are captivating & charming. I kept watch for hours in contemplation. 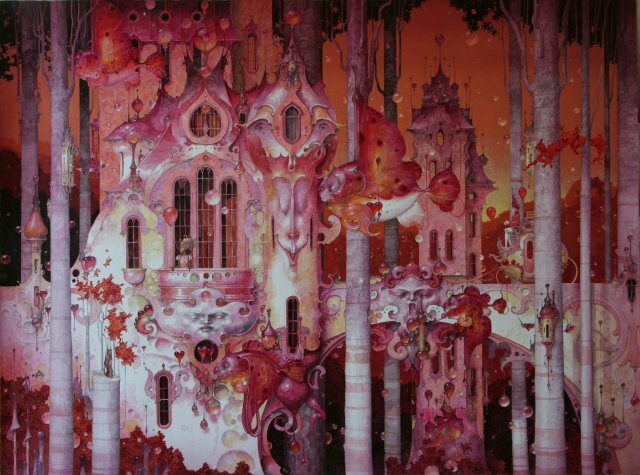 By the time I returned home to Phoenix, my visual inspection of Daniel Merriam’s body of work was burned into my brain. I even started a mini series of paintings motivated by Daniel’s pictorialization. Kudos to you DANIEL! 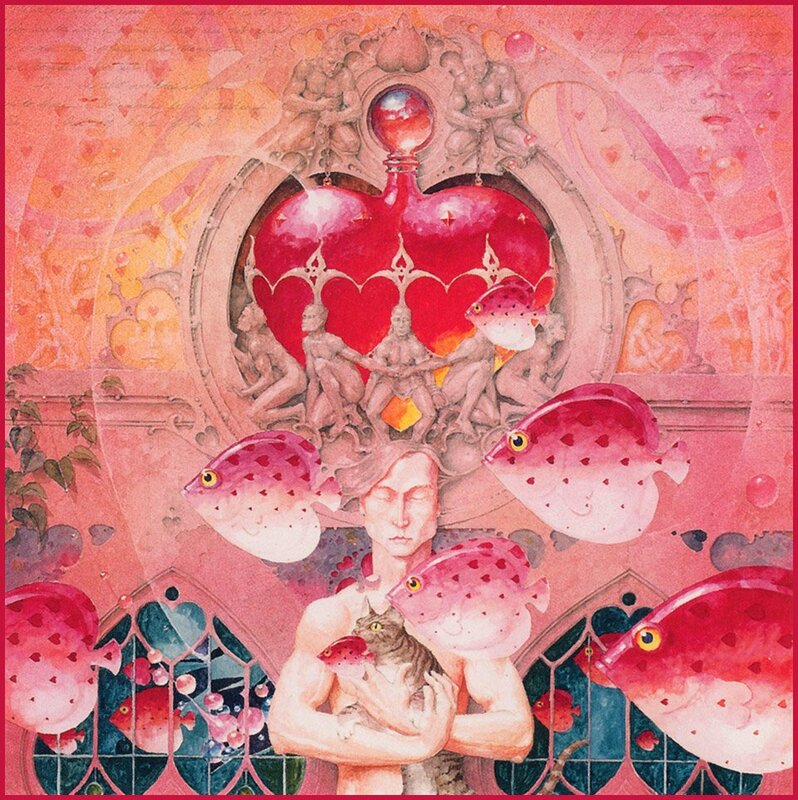 “There are people in our society who believe in the artist’s place in the world. I am fortunate to know some of those people, and they have never stopped believing in me. They have shared their thoughts and feelings and given me support and encouragement. They have shown me that what I do is important. 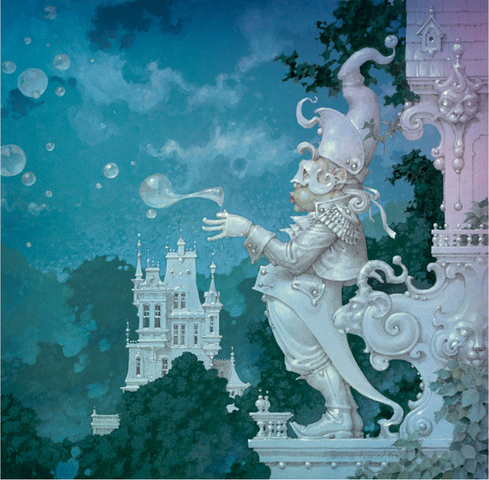 Through my art I have learned the importance of following my heart.” All quotes taken fromhttp://www.danielmerriam.com/ .